PHOTO: St. Regis Princeville is known as one of the top properties in the Hawaiian Islands. Starwood Hotels & Resorts may be based on the mainland, but it also boasts 11 hotels and resorts in its Hawaii collection, including a few historic properties. The company features four different brands in the Hawaiian Islands, from Oahu to Maui. The brands include Westin, Sheraton, The Luxury Collection and St. Regis. If you are planning on taking a trip to Hawaii soon or down the road, it would be a good idea to check out Starwood’s offerings, whether you are planning an ultra-luxurious stay or looking for a budget-friendly option. Starwood has something for everyone, from the new to the old, and you just may learn something about Hawaii’s extraordinary culture along the way. Here’s a look at Starwood’s 11 properties along Oahu, Kauai, Maui and the Big Island. Moana Surfrider, A Westin Resort & Spa, Waikiki Beach. Moana Surfrider, or “The First Lady of Waikiki” is a historic property opened in 1901 that was rebranded as a Westin in 2007. The property itself has a freshwater swimming pool, signature restaurant Beachhouse at the Moana, Moana Lani Spa, the poolside Beach Bar and a snack shop, boutique shopping, a business center, a fitness facility, more than 15,000 square feet of event and meeting space and a roof garden, with access to the 8,950-square-foot Moana Beach and the Poppins Keiki Hawaii Kid’s Club located at Sheraton Waikiki. Sheraton Waikiki. Sandwiched between Waikiki Beach and the popular Kalakua Avenue, Sheraton Waikiki has been in business for more than 40 years. The property’s $188 million renovation was completed in January 2011, which included the revitalization of its rooms, improvements to its bus depot, and the addition of upscale landscaping and water features, new food and beverage outlets, two pools and the Leahi Club Lounge (scaling 30 floors up into the sky and boasting top-notch views of Waikiki Beach and the Waikiki skyline). The Helumoa Playground is the largest pool in Waikiki. Sheraton Princess Kaiulani. Dating back to 1955, Sheraton Princess Kaiulani is a historic property in Oahu, adorned with photographs of the princess and the royal monarchy of olden times. Offering picturesque views of Diamond Head, Honolulu, the Ko’olau mountains and the sweeping Pacific Ocean, the hotel holds 1,142 rooms (including 12 suites). Food and drink options include Pikake Terrace (offering American and Asia-Pacific cuisine) and Splash Bar & Bento. The Royal Hawaiian, A Luxury Collection Resort, Waikiki. 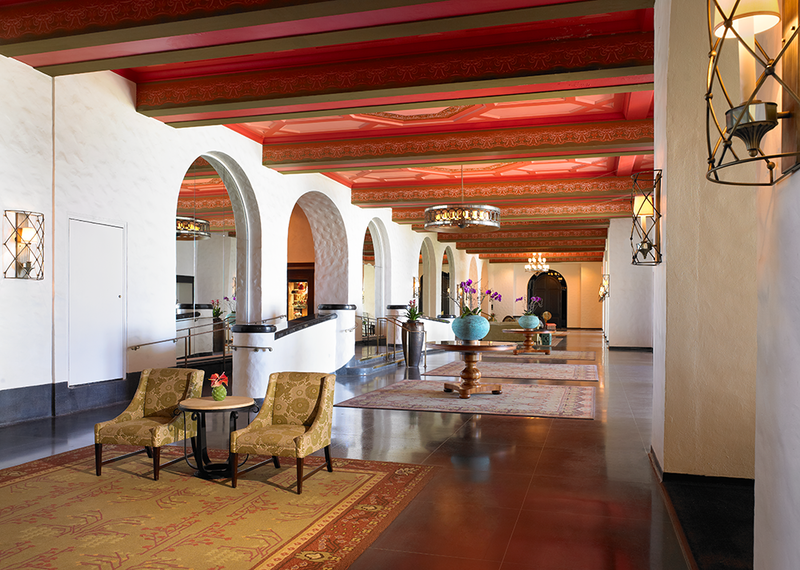 The Royal Hawaiian traces its history back to 1927 and is one of the most historic properties in Hawaii. The grand establishment is set on 14 acres of beachfront land was built in a Spanish-Moorish style, influenced by screen star Rudolph Valentino. PHOTO: The Royal Hawaiian traces its history back to 1927. The property, which was renovated in 2009, sports 528 rooms (including 33 suites), all complemented by koa seating, historic photographs and other authentic objects of art. Sheraton Kona Resort & Spa at Keauhou Bay. Situated on 22 oceanfront acres, Sheraton Kona features 485 rooms (including 24 suites), a full-service spa, a 24-hour fitness center, The Flying Fish activity outfitters, the largest conference facility on the Kona Coast, a “fantasy pool” with a waterfall and a 200-foot-long water slide, a family activity center and the Rays on the Bay restaurant, the only restaurant in the world where guests can view manta ray in their natural habitat. 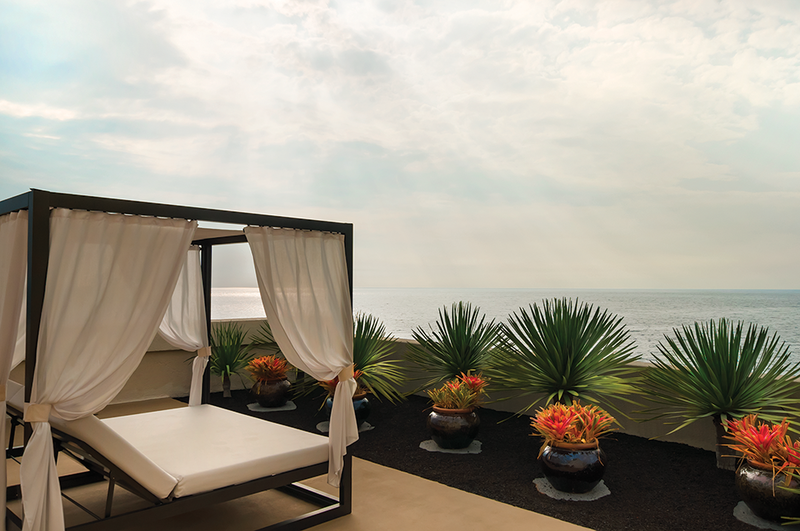 PHOTO: Sheraton Kona features 485 rooms including 24 suites. Sheraton Kauai Resort. Surrounded by 20 acres on Kauai’s popular Po’ipu Beach, Sheraton Kauai Resort treats guests to spectacular views of the Pacific Ocean and the tropical Hawaiian flora gardens. The resort has nearly 400 rooms (including 11 suites), and its $16 million revitalization completed in 2012 added several social gathering areas, a swimming pool and a couple of dining establishments. Guests will enjoy spa services, a beach activities center, a fitness center, yoga classes and cultural arts activities. The St. Regis Princeville Resort. 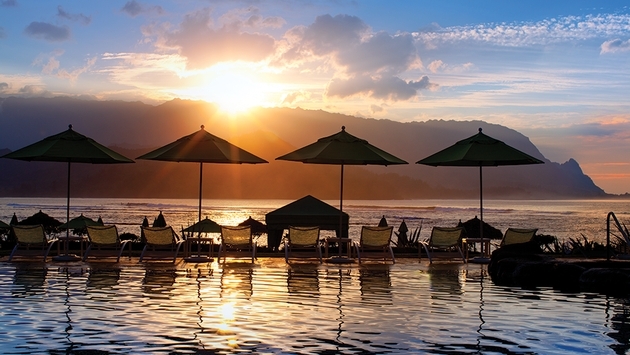 If you haven’t heard of The St. Regis Princeville Resort, it’s time you did. Winner of numerous awards as one of the top Hawaiian and island properties, St. Regis Princeville overlooks the Na Pali Coast and is surrounded by five mountains, taro farms, a wildlife refuge and numerous hiking trails. The 251-room resort includes premium 51 suites, as well as amenities ranging from butler service to bespoke guest experiences. Four dining venues are spread out across the property, all incorporating the local ingredients of Kauai. The Westin Princeville Ocean Resort Villas. Rising 200 feet above the Pacific Ocean on the North Shore of Kauai, The Westin Princeville Ocean Resort Villas are spread out across seven buildings within 18.5 oceanfront acres. There are 173 studio units and 173 one-bedroom units (two-bedroom units available on request). Units feature whirlpool tubs, high-definition TVs, Bose stereo systems, DVD players, kitchens with refrigerators, separate washers and dryers, and more. Sheraton Maui Resort & Spa. Looking for a breathtaking Hawaiian experience? Then you might want to check out Sheraton Maui Resort & Spa, set on 23 oceanfront acres extending from the crest of Pu’u Keka’a to the shores of Ka’anapali Beach. As part of the Ka’anapali Beach community, the 508-room resort is surrounded by golf courses and whaler villages. Originally opened in 1963, the hotel soars six stories, encompassing 44 suites (including the premier Presidential Suite). Guest offerings include a cultural adventure club, a lagoon-style pool and whirlpool, ocean activities, three tennis courts and a pro shop, a fitness center and more. The Westin Ka’anapali Ocean Resort Villas. The Westin Ka’anapali, a four-diamond resort, is situated on North Ka’anapali Beach. The property includes more than 1,000 villas. There are several different grills/restaurants for dining, as well as outdoor grilling accommodations. Guests can also request personal chefs and cabanas. The Westin Maui Resort & Spa, Ka’anapali. Situated along Ka’anapali Beach, The Westin Maui Resort & Spa features a variety of room and suite choices, from the Deluxe Ocean View to the Luxury Suite. There are more than 750 rooms, including nearly 30 suites. The Imperial Suite is a sight to behold, located on the top floor of the 11-floor property. It encompasses more than 2,000 square feet, complete with a king bedroom, a marble-tiled bathroom and sunken spa, double vanity and a separate shower. There are three different dining options to choose from, including a private dining section in the main pool area. From the property you will also be treated to sweeping views of Lana’i and Moloka’i across the Pacific Ocean. 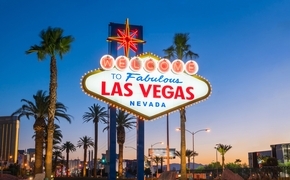 A version of this article appears in print in the September 2014 issue of Vacation Agent Magazine.